Three days ago I got new shoes because I left my old shoes at a waterfall. 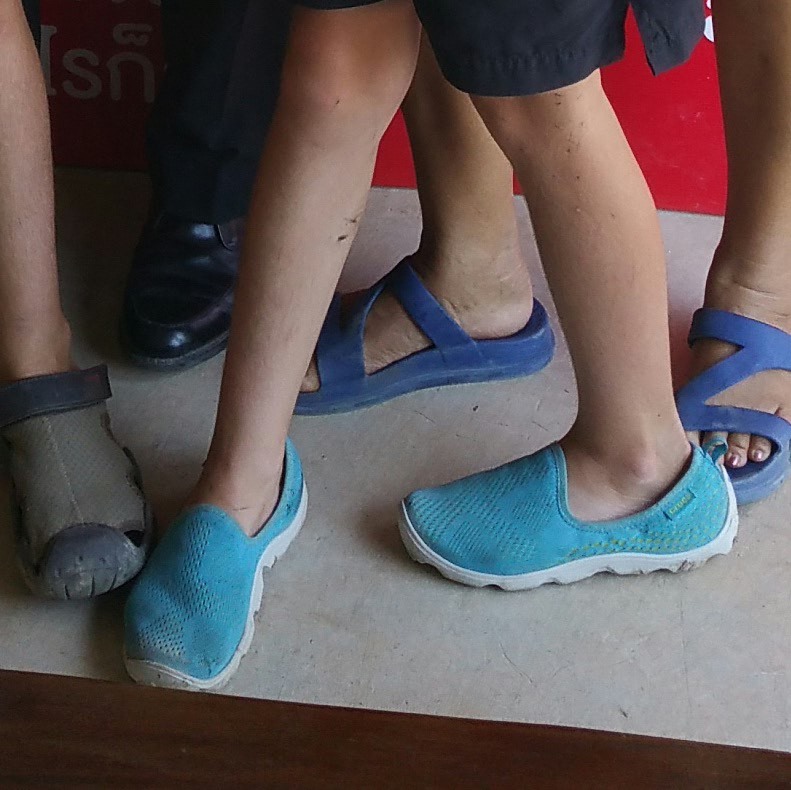 The next day we were hiking through muddy jungle so the shoes didn’t look new anymore. The brand of my new shoes is Crocs and I like the colour. Previous PostGross picture. Do not read if you are squeamish.Next PostBeyblades 2! I like the colour too. Whose is the foot at the back with the black business shoe on photobombing you?! You should have bought a pair of those shoes for your Dad to go swimming in before his little accident. !! You watch that injury like a hawk Julie and keep your eye out for secondary infection no where near it!! He had some tracking from the wound towards his ankle this morning but after I debrided it, drained the pus and redressed it, the tracking has settled. I am watching it like a hawk. I love a good wound. Heard some lovely stories this morning on our group bike ride of tropical water injuries! Take care. Ooh yeah I can imagine you are relishing a good foot wound. Off to feed my new pet calf. Your chooks are laying splendidly. I’ve been spoiling them. Take care. All good now. Podiatrist’s order to keep off my foot for four days. Now back into it and you will notice more posts again.